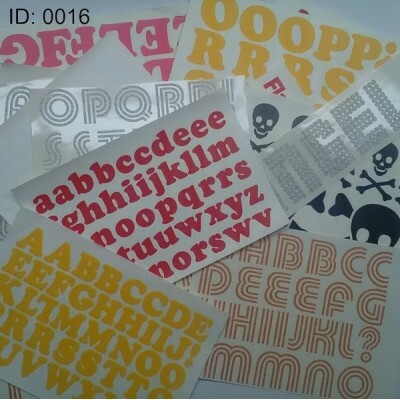 Assorted Iron-on Letters and Decals, include alphabet sheets, skulls, glitter lettering. 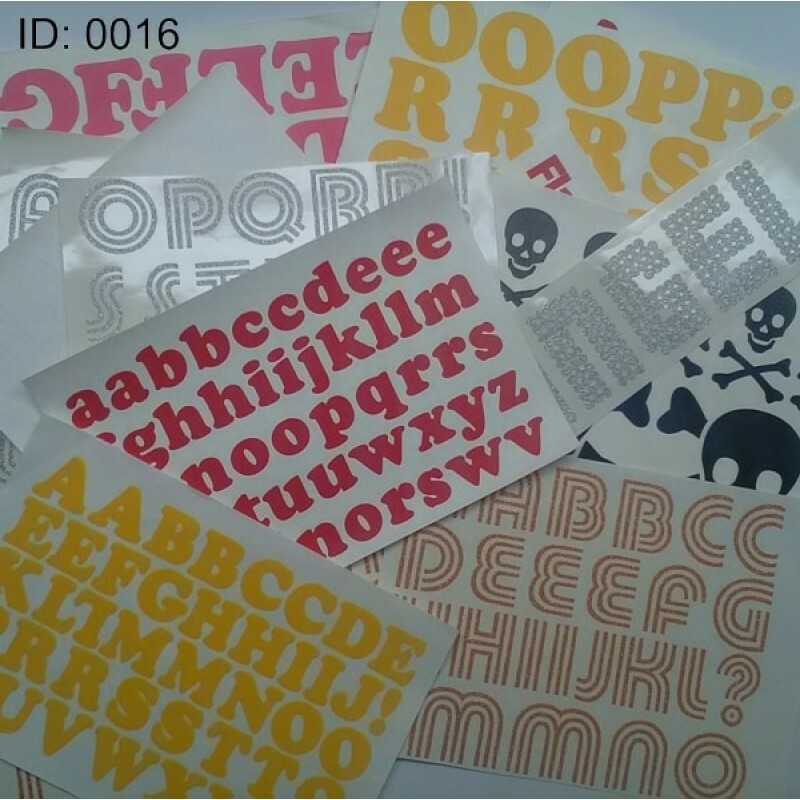 Ideal to print on textiles, craft fun projects. Easy to apply with home iron or heat press, peint on all fabric colors, of cotton, polyester content. Comes with application instructions. Sale clearance Item.